Dean to the Faculty of Pharmacy and Biochemistry at the Zagreb University prof.dr.sc. Jerka Dumić and Belupo Management Board president Hrvoje Kolarić, mr.pharm., MBA signed today a cooperation agreement, preceded by a recently signed Cooperation agreement between Podravka Group and Zagreb University. 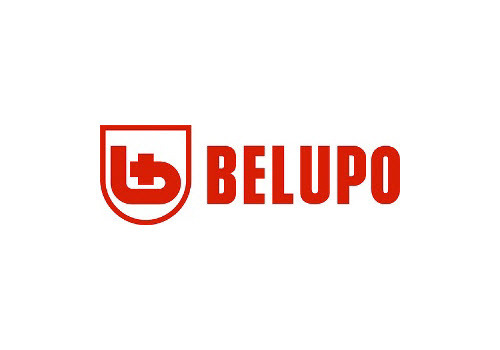 This document implies cooperation between the Faculty and Belupo in the area of science, professional and educational activities, mutual help in the area of scientific and expert research, field trips of students to Belupo and performing the practical, i.e. experimental part of their thesis. Among various future mutual activities, by signing the Contract and the Letter of support, Belupo supports the Faculty of Pharmacy and Biochemistry in their application of the project “Strengthening of scientific-research and innovation capacities of Faculty of Pharmacy and Biochemistry of the Zagreb University“ Faculty of Pharmacy and Biochemistry will, with the support, apply to the Public bid for delivery of project proposals „Preparation of reserves of infrastructure projects for the European regional development fund 2014 – 2020, published by the Ministry of science, education and sports, in order to ensure funds to adapt 1362 square meters of the Faculty facilities and for purchasing modern equipment. "Should the funds from the European Regional development Fund be approved, and we expect the amount of HRK 43 million, the planned investment will significantly contribute to the development of scientific, research and educational activities and in strengthening of the innovation capacities of the Faculty", Faculty dean prof.dr.sc. Jerka Dumić said, also explaining that the call for submission of project proposals proscribes six criteria in project selection. "Added value" is the fifth criteria which is defined in the Public bid, among others, as giving insurance that by project realization precondition will be created for cooperation with an economic entity". "We are one of the most modern and efficient companies in Croatia which bases its success on high quality standards which are evident in our way of managing people – we are a pharmaceutical company that takes care of people, Hrvoje Kolarić, Belupo Management Board president said. We recognize and value the importance of people, because our employees are the carriers of all activities and main factor of competitive advantage on the ever demanding market in which we do business. In line with that, we invest significant funds in their education, improvement of working conditions, establishing the motivation system, promoting company values, competencies development. Through the reconstruction and adaptation of the existing research infrastructure, in the Faculty's application Belupo sees the possibility of creating added terms for development of modern applied biomedical researches, which respond to the needs of the economy. We consider investing in research, innovation, knowledge applied by word, to be our responsibility and duty. We value the expertise and dedication of the scientists of the Faculty of Pharmacy and Biochemistry who are day after day guided by the highest principles of professional conduct and humanity, Hrvoje Kolarić, Belupo Management Board president said.